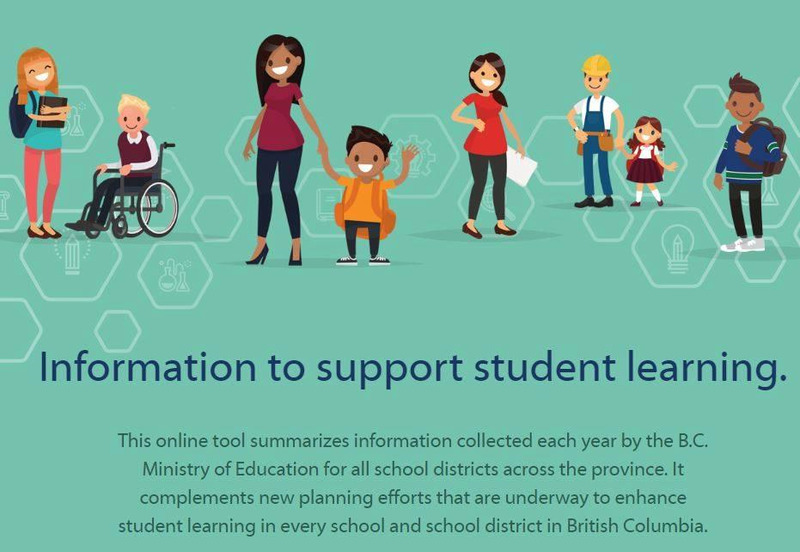 BC’s Ministry of Education announced a new smartphone and tablet-friendly website will provide interactive information about student outcomes to make it easier for parents and students, as well as school districts, to understand and use information that will enhance education for students. By this fall, information about individual schools will be available to give parents a better understanding about how their child’s school is doing across the district. Right now, access to measures of student success, such as grade to grade transitions, completion rates, foundation skills assessment results and other outcomes, in all districts is available to compare the data with the latest trends and provincial averages. On the website, school district by school district reports are now available in easy-to-read and interactive formats, giving parents a better understanding of their school district’s strengths and areas for continuous improvements, as well as B.C.’s education system as a whole. Information contained in these reports also includes community and student demographics, post-secondary and career preparation, as well as student satisfaction. Additional information will be forthcoming to school districts from the Ministry of Education regarding this exciting and helpful initiative for students and parents. Coast Mountains School District 82 and Northwest Community College are seeking homestay host families for international students. Students from around the world are choosing to study in beautiful and pristine northwest BC and you can play an important role in making their Canadian experience truly unforgettable. High school and college students want to experience high-quality, personalized education while experiencing local culture, discovering the great outdoors and enjoying the safety and friendliness of smaller communities. Help us show them our true regional hospitality by becoming a homestay family. Living with local families helps international students immerse themselves in Canadian culture and helps in developing English language skills. By opening your home to a student, they will experience daily life in Canada, while introducing your family to the unique opportunity to learn about another culture. It is also the beginning of what often becomes a life-long, cross-cultural friendship. Students will need both short and long-term homestay experiences. Or contact our Director of Instruction for School Support, Janet Meyer at (250) 638-4480 or study@cmsd.bc.ca for assistance.